Pimm’s Cup No. 1 is a gin-based beverage made in England and has many variations. It is the drink of Wimbledon, so we may be pushing the season a bit, but it has a lower alcohol content than most liquors and tastes like a gently laced iced tea. Muddle the cucumber and lemon peel in a chilled glass. 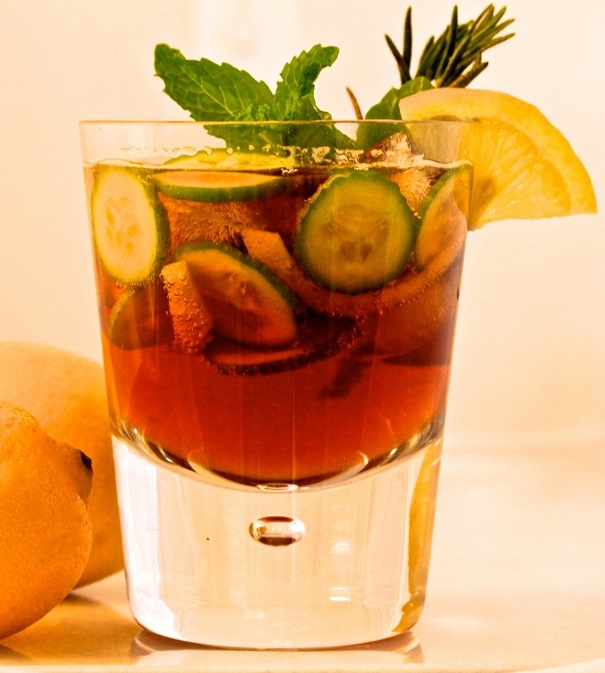 Fill glass with ice and add Pimm’s and ginger ale. Garnish with lemon twist.